A posted video appears to show what led to the fire. KIRKWOOD, Mo. – It looked like a scene from a movie this weekend at a gas station in Kirkwood, Missouri. Emergency crews responded to the Mobil gas station at about 8 p.m. Saturday after a luxury car caught fire. 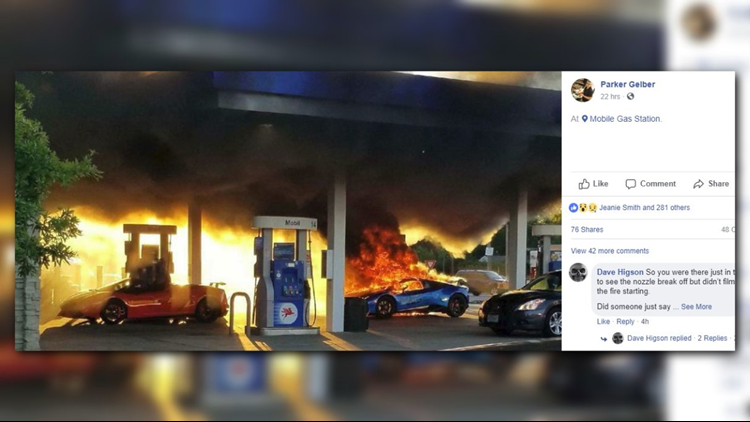 Photos have gone viral across social media of the blue Lamborghini engulfed in flames. A video also posted socially appears to show what may have led to the fire. In the video, a van at a nearby pump drives off with the gas nozzle still attached to the car, pulling the hose away and spraying gas onto the Lamborghini. 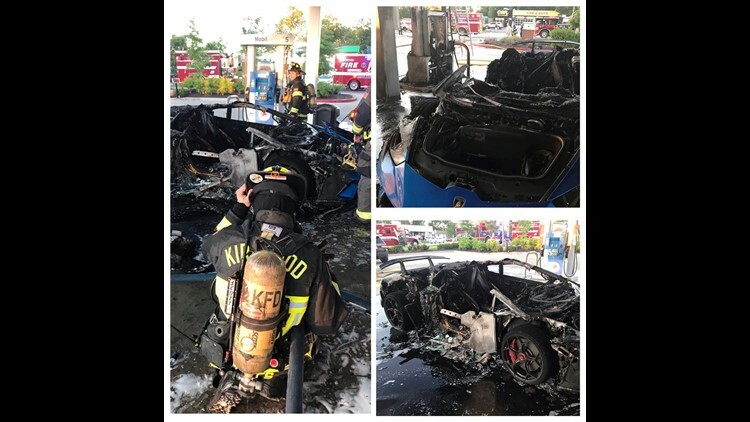 Kirkwood, Glendale, Des Peres, West County and Frontenac fire departments responded and quickly extinguished the fire and surrounding gas pump. No one was injured during the fire. And according to the post, police were able to track down the vehicle that drove off with the gas pump.